Photo and info courtesy of hon-john. 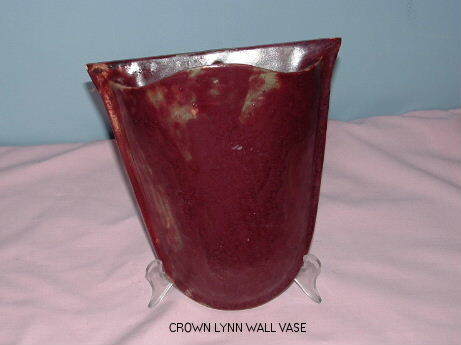 "This wall vase is a very deep maroon glaze and all that there is on the back are the faintest of fractional marks. No other marking at all. It measures 20cms across the top, 21cms from top to bottom. It is very heavy." 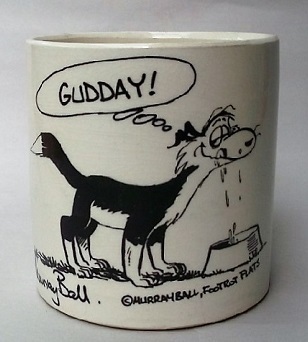 I've had a good look through the Crown Lynn Shapes Gallery and can't find this shape. Hopefully it is one of the shapes that we are missing and will come across the number one day.